What can one say that hasn’t already been said about Lafite? It was the first of the firsts, being the chateau that led the 1855 classification by price. Until recently it remained amongst the priciest wines in the world and has extraordinary brand recognition the world over. As a wine Château Lafite-Rothschild is not necessarily the most powerful of the Pauillac first growths, tending more towards balance and elegance, but does produce sublime Bordeaux, and demonstrates that power is not always the key to greatness. The 2005, much heralded, is truly exceptional. The 1996, very different in style, is its equal. Great things here in 2009, Lafite’s then director Charles Chevallier described it as a ‘very great vintage’ in the making. It looks every bit as good as the 2005 when first tasted in spring 2010. The wine has since put on more weight in bottle and is one of the greatest wines of that brilliant vintage. 2010 also looked very strong when shown en primeur. 2011 has received a varied reception though I thought it delivered extremely well in that tricky vintage. 2014 also looks to be special. The speculation and investment that drove the price of Lafite-Rothschild into the stratosphere peaked in 2011. Prices have dropped back considerably since then [by more than 50% – so it is now a relative bargain] but Lafite still remains one of the world’s most sought after wines. Second wine Carruades de Lafite is no slouch either, as these days 40-60% of Lafite’s production makes its way there, depending on the vintage. Carruades was quite exceptional in 2009 and 2010. 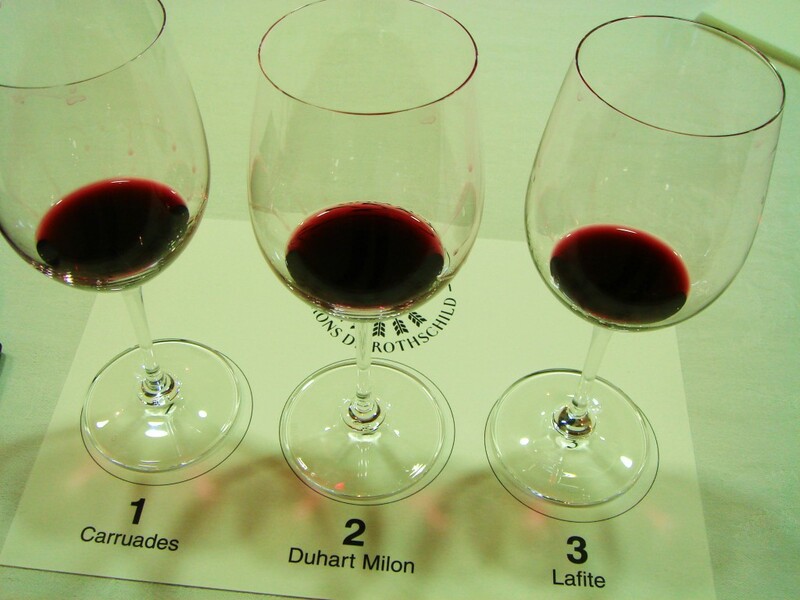 Shrewd buyers should really look out for Pauillac sibling Duhart-Milon. This delivers Lafite-like polish and elegance at a fraction of the price. Recently Lafite 2014 and 2016 are beauties. 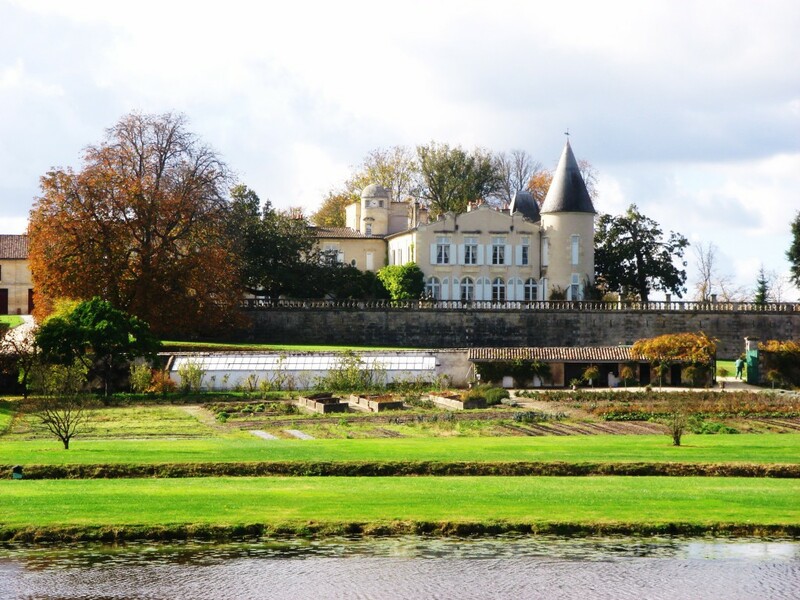 Lafite now under the directorship of Eric Kohler, with Charles Chevallier retiring in January 2016. Vineyard/Terroir: 70% Cabernet Sauvignon, 25% Merlot, 3% Cabernet Franc, 2% Petit Verdot. Average age of the vines is 45 years. Winemaking/Elévage: 18-24 day fermentation and maceration in both wooden and stainless steel tanks. Sixteen to twenty months barrel ageing with 100% new oak. 2009 Mid depth; deep centre; very precise and elegant aromatics: blackcurrants, lead pencils and tobacco leaf – very refined indeed; blackcurrant fruit with depth and extract; surprising power here – real density and chew; tannins very ripe and harmonious; lovely blackcurrant fruit – real purity. Great length. Very fine indeed. This is more controlled than the flamboyant primeurs offering but there remains something magnificent about this wine. Perfect for me. Now the Chinese appetite for the wine has abated somewhat it’s available at a Tesco-like discount [half price] on a few years ago. Drink 2016-2045. 100. MW Institute Nov ’13 [Earlier note] Deep, dense colour, tight to rim. Lovely nose; wonderful pent up blackcurrants; glossy; cassis and yet more sublime blackcurrants; also graphite, minerals, incredibly deep, this nose is perfection. Palate of purity, brimming with blackcurrants; essence of wine here; sweet ripe fruit; velvety tannins – elegance and intensity. Perfectly balanced. Not the merest hint of over-extraction. On par with 2005. 100/100 1st April 2010. 2009 Deep, intense, tight to rim, lovely depth, very fine and intense; blackcurrants, cassis, wonderful ripeness, excellent; very velvety palate, terrific lightness of touch; gentle extraction and great precision; soft ripe tannins, very round and quite profound. Good length. Excellent. 92-94/100 1st April 2010.